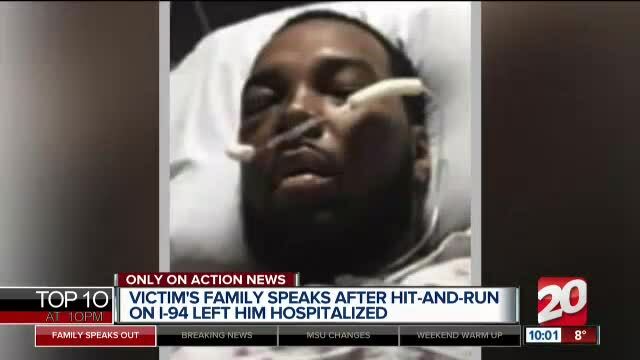 A cowardly hit and run accident on I-94 at Telegraph just before 8:00 am has left a young father from Romulus in critical condition at U of M hospital. The driver responsible is now in custody, after police say a witness helped track her down by snapping a photo of her license plate. Relatives say 27-year-old Ronald McCray may still have to have his foot amputated, following several operations. 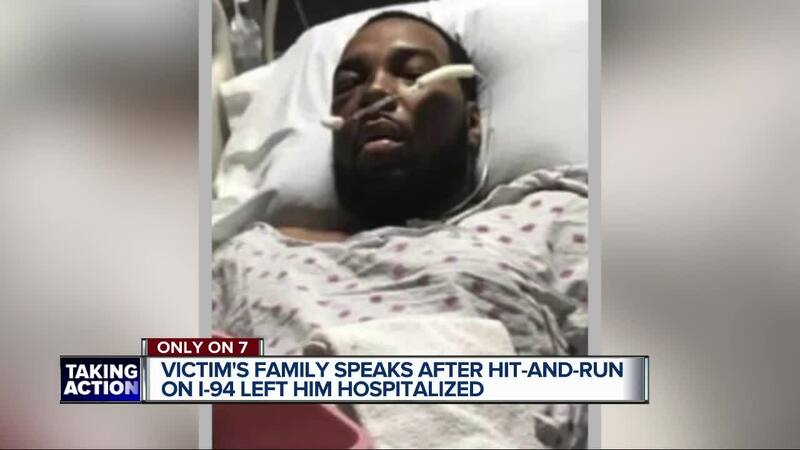 ANN ARBOR, Mich. (WXYZ) — A cowardly hit and run accident on I-94 at Telegraph just before 8:00 am has left a young father from Romulus in critical condition at U of M hospital. The driver responsible is now in custody, after police say a witness helped track her down by snapping a photo of her license plate. Relatives say 27-year-old Ronald McCray may still have to have his foot amputated, following several operations. Ronald dropped off his child’s mother for work in Detroit, and was heading back to Romulus when the crash happened. Police say pieces of a guard rail and his vehicle were stuck in Ronald’s leg, and he had to be pulled out of his vehicle with the jaws of life and air lifted to the hospital in Ann Arbor. Patterson is thankful to all first responders and the witness who helped his brother. As for the woman who ran off after the crash, he says it’s too late. “She could have stuck around and we would have understood, but this is not something we can forgive,” says Patterson.